Step over the threshold to a spruce lunch, in the evening to a sparkling dinner. 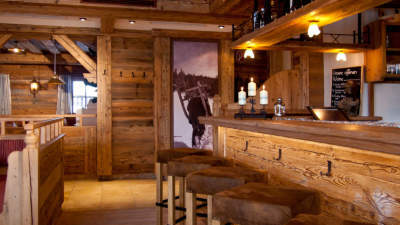 Or for a celebration until the rafters quake in the primordial rustic ambiente. Magical feelings of partying in a mountain hut come alive after a day of skiing in Kitzbühel. That includes culinary treats. All those who choose to let the alpine sun brown their skin and warm their soul on the huge sun terrace (seating for about 150) on a ski-day stopover are usually happy to bid farewell to the sun-drenched panorama views of Hohe Tauern and Kitzbüheler Horn and switch to a stylish dinnertime-mode or, at a later hour, to an après-ski party. 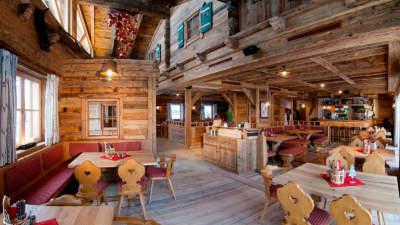 The Mooralm is located right on the ski run at the midway terminal of the Kitzbühel Alps Panorama Cableway. 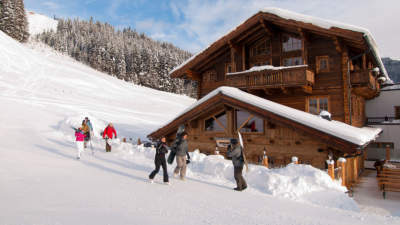 It is also conveniently accessible by car via the Pass Thurn National Road. 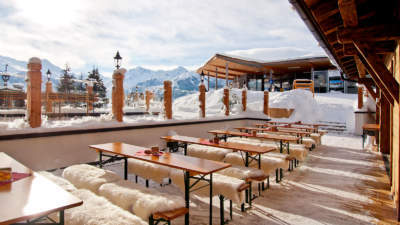 That makes it the perfect open-air location for your stopovers: either for a snuggly, cosy lunch-and-ski day or in the evening a stylish dinner, savouring the delicacies of the kitchen crew. “Let’s fetz!” is the way the locals put it, triggering enjoyment galore in the Après-Ski Lounge. 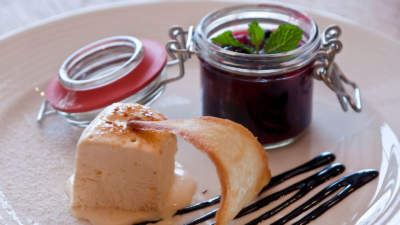 Over a civilized and cultivated meal in the restaurant (seating for approximately 120) the chef will pamper you with his culinary delights of regional and international specialties, including “flying fingerfood”, creative menu sequences and buffet variations. 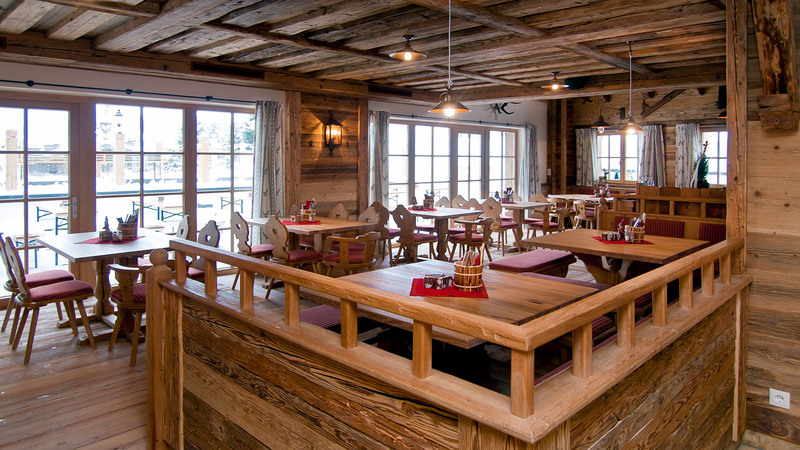 This is quality which might seem familiar to some visitors, since in summertime, Mathias and Susanne Wallner and their team at “Loch 19” spoil guests and members alike at the Schwarzsee Golf Restaurant with sophisticated dining pleasures and really fab tasting meals. 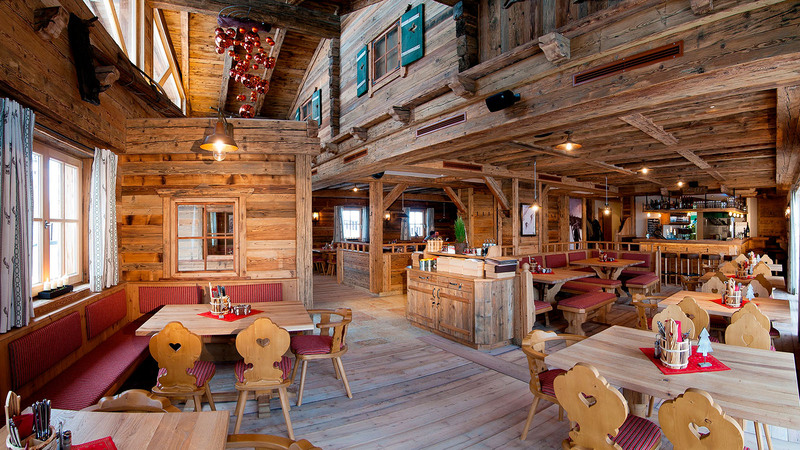 Cosy as can be, a joy for you and me. Whether a romantic dinner for two, for a wedding, a birthday, for Christmas or company celebrations, the Mooralm is the place to go, the name to know.